There is a period in the life of all of us when we deeply feel that the need for change is necessary. The time that has accumulated the experience of doing something wrong as a society and as individuals, something that does not rightly speak rebellion from you. Then you want to step out, make a turn and pull things to the light side. Simply – you’re starting with yourself. My experience with zero waste lifestyle began a few months ago, more precisely in January. However, the roots of my interests go much further into the past, and somewhere I associate them with the time I enrolled in the Master’s Degree in Sustainabile Growth and Quality Management. Although during my life ecological awareness has always been there, I have found the right inspiration to start the life without waste (or, at least, to minimize my waste to the most efficient level), by listening to Lauren Singer at one of the TED conferences. 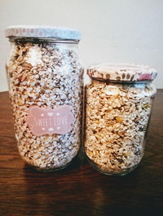 Lauren Singer is a young entrepreneur, an environmental activist and blogger, who through her blog describes in detail his experience with zero waste lifestyle. All her waste produced during one year can fit into a small glass jar. Inspired by her experience, I decided to try to live this way for at least a week. It was a challenge for me. 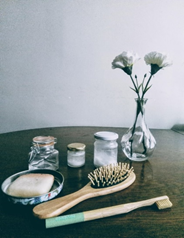 The next day, using a toothbrush and hair brush made from bamboo, long lasting bags, metal water bottles are just some of the many things I’ve slowly started to introduce into my everyday life. However, the real temptation and a real test of my determination to follow this concept was when I went to the grocery store. 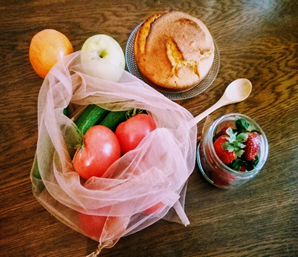 Since I am a big fan of fruits and vegetables, every purchase would mean returning home with a few plastic bags, which, without knowing what to do with them, I store – like most of us – in a drawer. By visiting the fruit and vegetable sector, I realized that my one-week experiment would end on the second day. Until then, I did not look at the packaging as a source of unnecessary waste, but as a necessary and logical product protection – now all this started to bother me. I had to find some way. 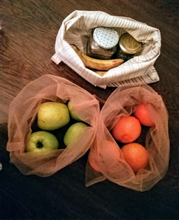 So I left the supermarket and went to a metrical shop to buy a fabric from which I made bags for fruits and vegetables. Returning to the same supermarket, using newly-made bags, my first zero-waste purchase ended well, and there were positive reactions and praise from the employees, which gave me the motivation to continue this way. And so, day by day, I encounterred new obstacles and made new ways to make them “crawl”. Time was passing, weeks were coming down. Today is a zero waste part of my life. 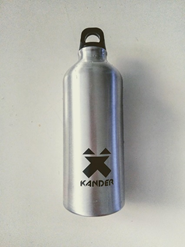 Although I do not live 100% zero waste, I try to consciously reduce the waste I produce by, for example, I do not buy water in plastic bottles, but I use an aluminum bottle I always carry with me. Then, I buy food such as nuts and grains using paper bags or my handmade bags. I avoid buying products packed in plastic containers, but only in glass (glass is natural material and can be recycled 100% without losing its quality). Also, I make by myself cosmetic products such as stick deodorant and body lotions. They are natural, do not contain chemicals that can be found in the purchase products and are not packaged in plastic packaging, which, after use, ends in the stomach of a whale or some other sea animal. Instead of using plastic thoothbrush or hair brush, I use only brushs made from bamboo. Bamboo is also a sustainable material with growth potential up to 20 times faster than conventional trees. These are just a few examples of my zero waste life until now. Although, at the beginning, the application of this lifestyle was not simple, it is now part of my everyday life. And the benefits are numerous; both spiritual and material. You just need to start and believe that as an individual you can do a lot of things. That is why I would like to finish this text with the wonderful quote of the famous Indian leader Mahatma Gandhi “Be the change that you want to see in the world”. The power of change is hidden in every individual. Unfortunately, the ecological condition in which our planet is found today is critical. And this situation is getting worse day by day. Extreme climate change, global warming, ecological disasters, “plastic oceans”, air pollution are just some of the examples of an alarming state of the planet Earth. However, her condition, even her survival, is in the hands of every individual. So we need to seriously understand how important it is to reduce our personal impact on nature. It’s up to us to choose whether we will be a passive observer or an active player.